2019: INEC to begin voters registration in April – Royal Times of Nigeria. 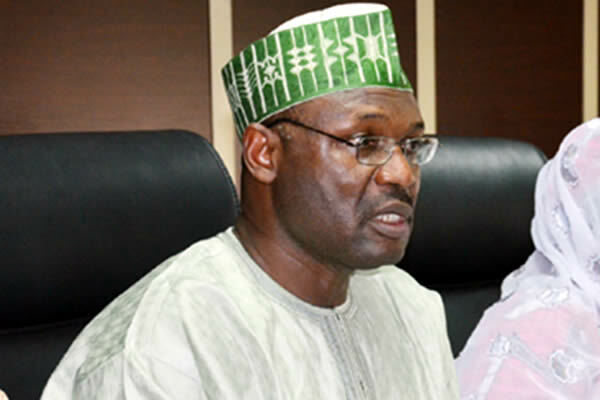 The Chairman, Independent National Electoral Commission, Prof. Mahmud Yakubu at the commission’s first quarterly consultative meeting with the media in Abuja on Monday said Continuous Voter Registration will begin across the country in April. He said the commission will clean up the voter register, including removing deceased Nigerians. He said, “Election is essentially based on a number of parameters. After the 2015 general elections, we are compelled to see if we can clean up the voter register. For instance, we have to remove the names of the deceased from the register. “But this is easier said than done because sometimes, you may know that the person is dead but the process of removing the name from the system is not that simple. “This is simply because in some cases we receive report that candidates involve in an election had died only for them to turn up at the commission few days later to say it is a lie that they are dead. “The commission had only been able to distribute over 700,000 PVCs since 2015, stating that INEC had not distributed a total of 7.8 million Permanent Voter Cards. “We need to have continuous voter registration, to register Nigerians who are of age and those who did not register in 2015. “The members of staff of the commission will carry out the exercise in a way that the PVCs will get to the owners. “But that would be handled by our own members of staff in a manner that they all get to their owners. So far, we have been able to distribute a little over 700,000, which is under one million registered voters. We need more education and voter enlightenment to accomplish this,”. “The commission has also started screening underaged candidates, let me also say that until recently, when I came on board, I didn’t know that there are also underage candidates.